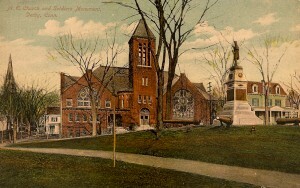 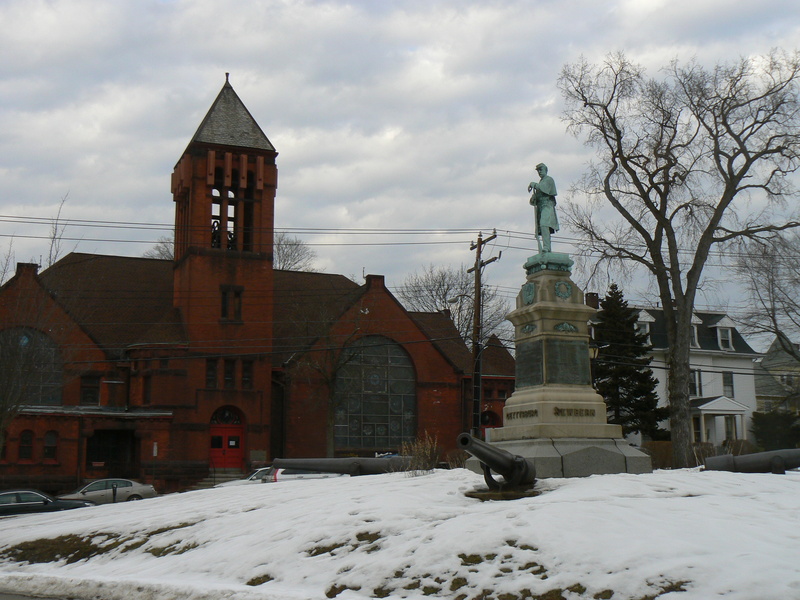 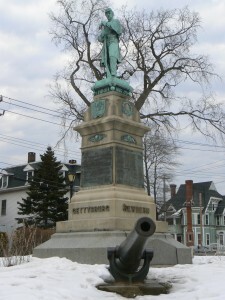 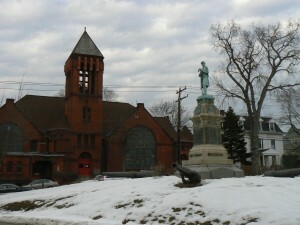 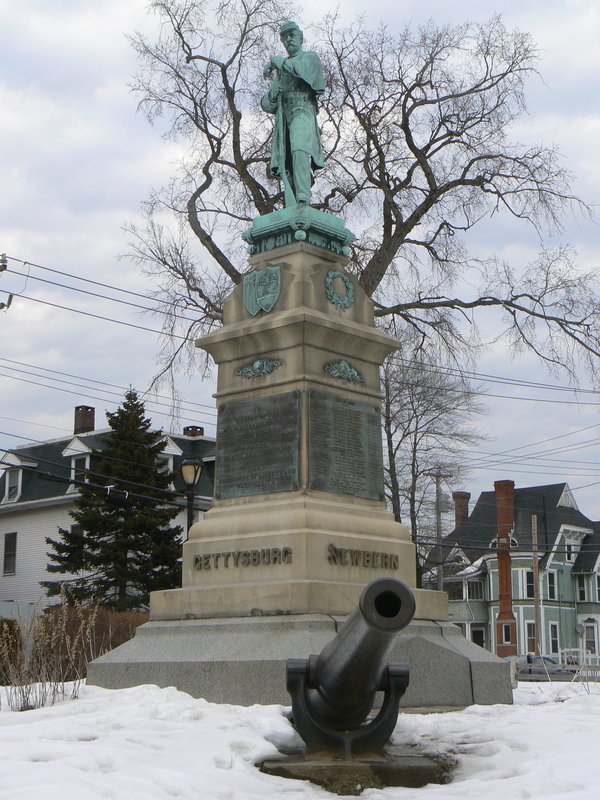 Derby’s Civil War monument, on the Elizabeth Street side of the town green, honors soldiers from Derby and Huntington (a predecessor of today’s city of Shelton) who served and died in the war. 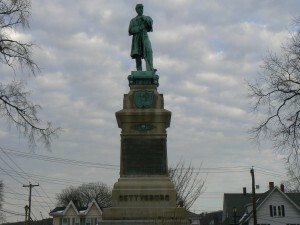 Even without the figure, the monument would be impressive. 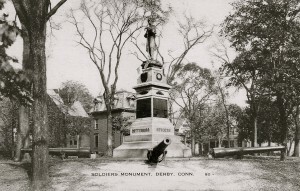 The front and rear plaques honor the men of Derby and Huntington who fell during the war of the rebellion, and the side plaques list about 81 names and regimental affiliations of local residents killed during the conflict. 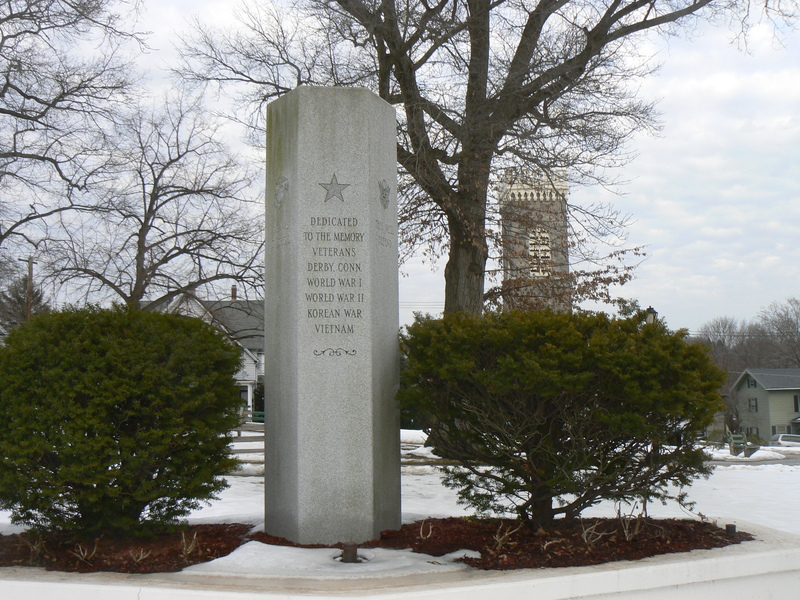 One side also features a brief excerpt from the “Bivouac of the Dead” poem by Theodore O’Hara, which appears on plaques and monuments in many National and Confederate cemeteries. The base has raised inscriptions listing the battles of Atlanta, Chancellorsville (Va.), New Bern (N.C.) and Gettysburg. 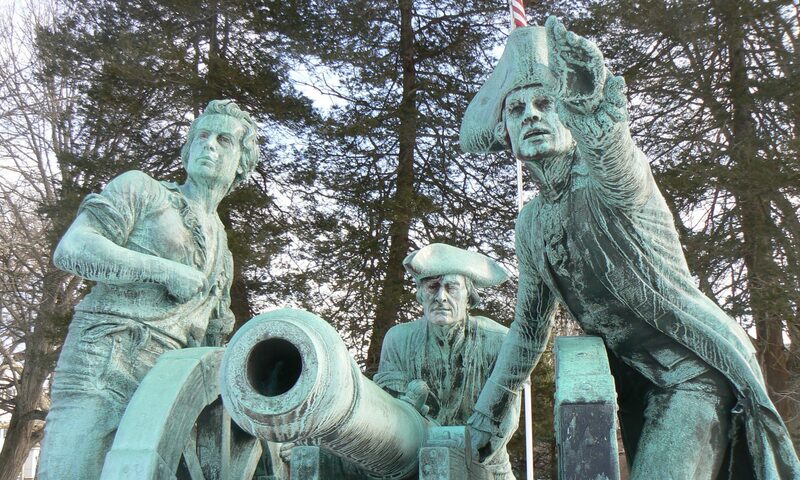 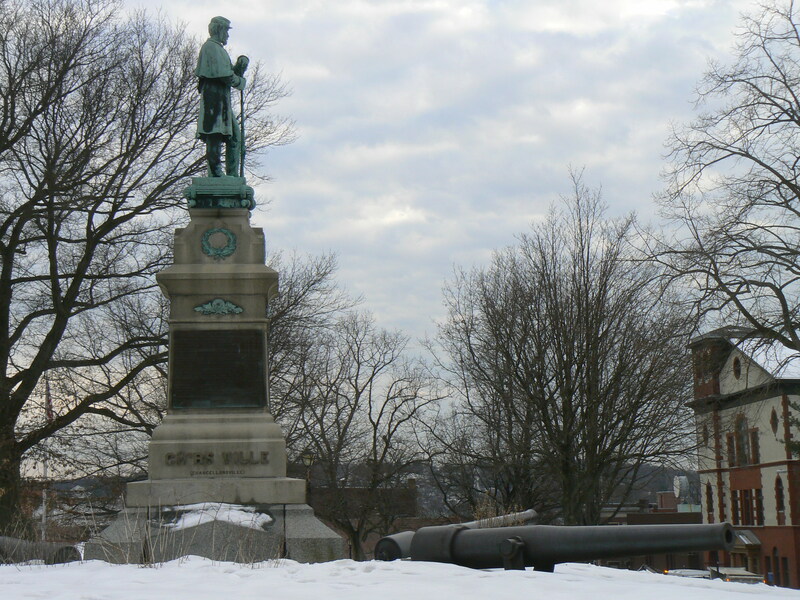 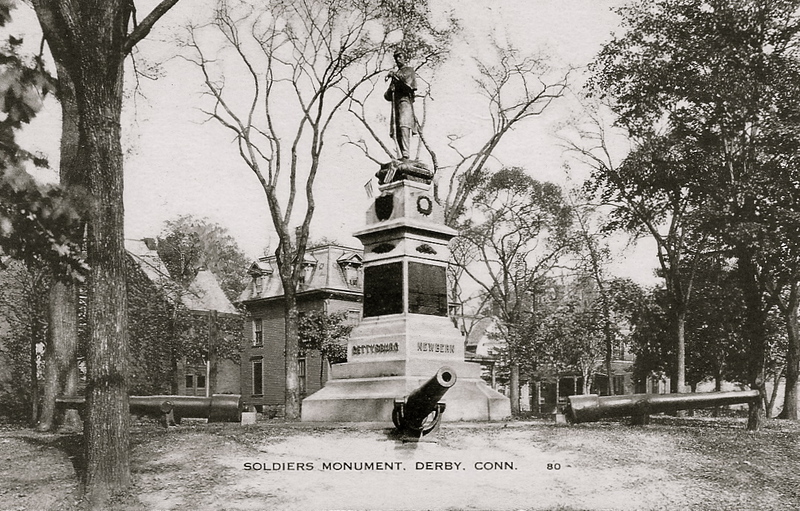 The four cannons at the base of the Derby monument are 30-pounder Parrott rifles that were manufactured in 1861 at the West Point Foundry in Cold Spring, New York. Similar cannons can be found at the Civil War monument in Seymour, which will be profiled in a future post. 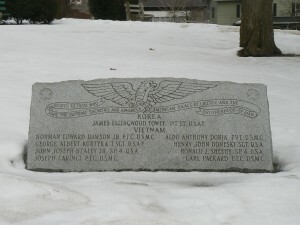 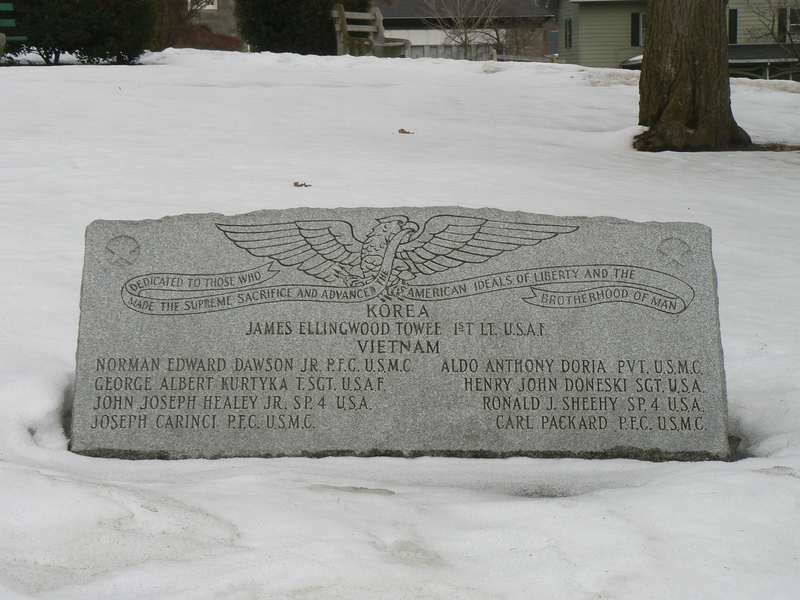 The Derby Green also features monuments to local veterans of the world wars, Korea and Vietnam, as well as a second memorial listing nine residents who were killed in Korea and Vietnam. 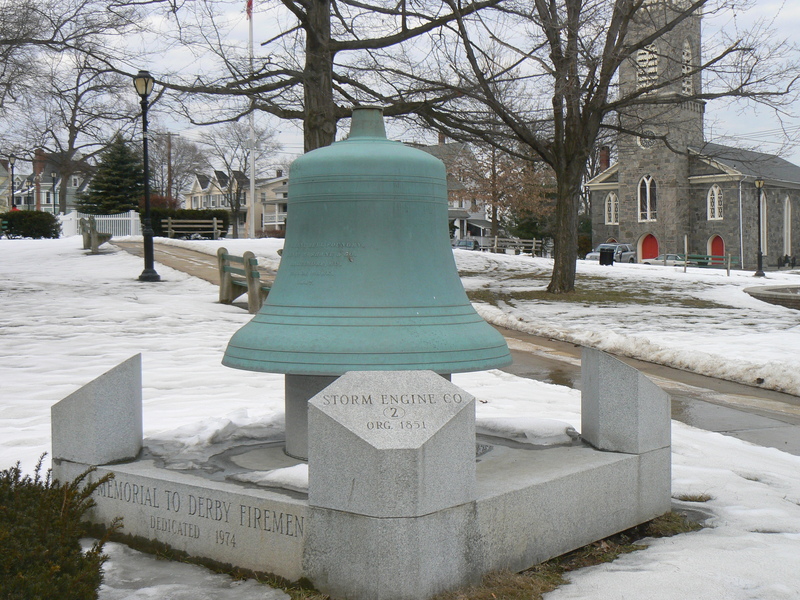 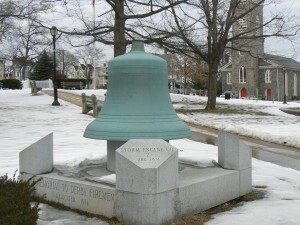 A bell at the southwest corner of the green honors local firefighters.